From Septem­ber 6th to 8th, 2013, Ed. 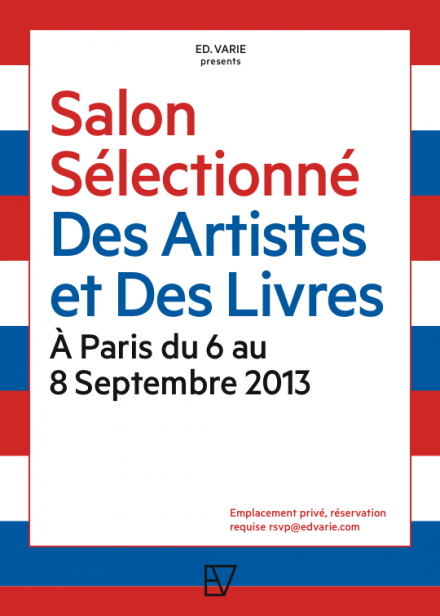 Var­ie presents a private Salon of Selec­ted Artists and Books in Par­is…“This 3 day Salon of Artists and Books will present a selec­tion of our favor­ites from Ed. Var­ie, paint­ing, draw­ing, pho­to­graphy, works on paper, sculp­ture and books. There will be view­ing times by appoint­ment only for small groups. until your appoint­ment is con­firmed.